Because my birthday is coming soon, I'm holding my first ever giveaway! I'm giving away a "Sweet Dolly look"-themed prize to help you be cute for the spring and summer! Here's what the winner will get! To enter, visit http://www.goodmorninglovely.net/2012/04/namies-sweet-dolly-birthday-giveaway.html for more details. 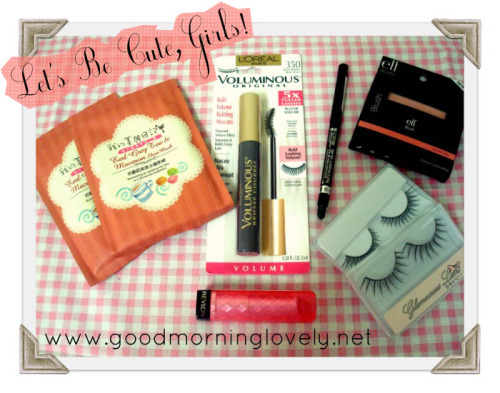 You must be a follower of my blog, http://www.goodmorninglovely.net/, to participate. Re: Sweet Dolly Birthday Giveaway! What a nice idea. I somehow missed this thread when you posted it. Hope you got a lot of followers. Awhh~~ I'm sorry you missed it! I'll be having another giveaway soon and I'll be sure to post the details here again! I had seen it and I think I forgot to reply. It's such a nice idea! But I live too far, I guess!